BANGUED, Abra– Presidential Adviser on the Peace Process Jesus Dureza said that the national government will continue engaging groups who were not included in peace agreements entered into by the previous administrations to sustain the overall efforts for the realization of lasting peace in the country in the future. Dureza, who interacted with the leadership of the unfied Cordillera Bodong Administration – Cordillera Peoples Liberation Army (CBA-CPLA) led by Vice Governor Ronald Balao-as, said there has been no final and concrete peace agreements in the past because there had been groups that had emerged and claimed that they were excluded from the said peace agreement because of internal conflicts within their organizations that is why it is difficult to declare that there has been closure to previous peace accords. “We will continue to engage different groups who want to join the present administration in embracing peace that is why we are here to discuss with the CBA-CPLA leadership on how we are going to start things and move on towards inclusivity in the future,” Secretary Dureza stressed. The palace official there is no such thing as closure in peace agreements because realizing peace is a work for a lifetime that is why it is still best for everyone to continue talking with each other and embracing peace as one of their priority agenda to help the achievement of peace in the country in the future. 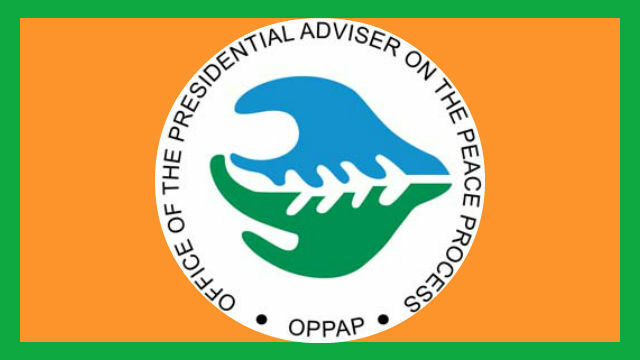 After being involved in the armed struggle for decades now, Secretary Dureza underscored that what is important now is for the government to recognize the potentials of the former armed combatants in being converted to peace and development forces in the countryside through the interventions that will be provided by the OPAPP and concerned government agencies. The peace adviser expressed optimism that it will not be difficult to engage the different groups to embrace lasting peace because the clamor for peace is alive in them and what needs to be done is to trigger their desire for peace through the provisions of the needed assistance that will mod them to become productive citizens of their communities and when peace reigns in small villages in the countryside, peace in a bigger picture could be realized with the cooperation of every Filipino citizen. Dureza assured the CBA-CPLA leadership that OPAPP will continue to engage them on the existing programs, projects and activities that will be undertaken for the interventions that could be done to help the former armed combatants to have sustainable sources of livelihood that will uplift the living condition of their families. He urged former CPLA combatants to continue adhering to the policy of their group in embracing peace as their priority agenda because the government will be ready to extend whatever assistance is available to prevent them from thinking of going back to the mountains and fight the government through the use of arms, saying that the CPLA is on the right track in convincing government that they deserve to be given a chance to help in the present administration’s cause to advance peace and development for the benefit of the present and future generations.